Diana Martinelli sits with public relations students in the WVU Reed College of Media. Martinelli spearheaded the effort for the program to receive Certification for Education in Public Relations. 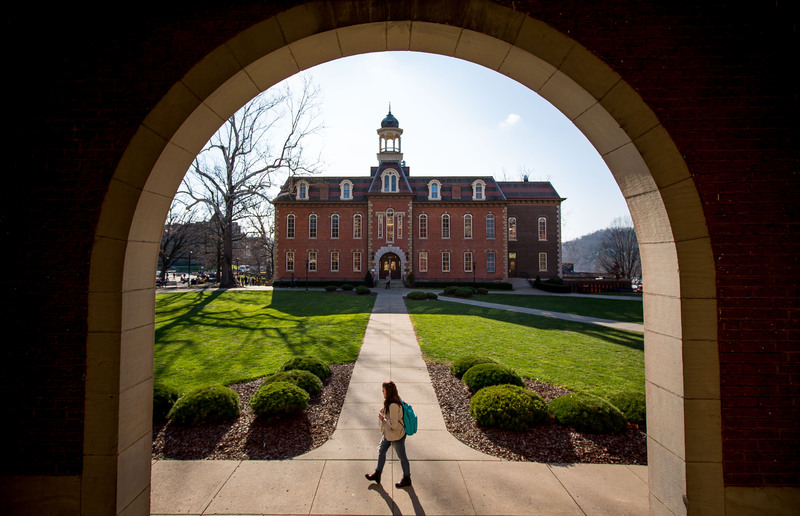 Noting that West Virginia University “offers a sound, insightful, career-building, challenging and successful program for its public relations majors,” reviewers recently awarded the Reed College of Media the Certification for Education in Public Relations, one of only 39 such awards internationally. The CEPR was established in 1989 by the Public Relations Society of America as a quality-assurance endorsement of public relations programs at colleges and universities worldwide. Diana Martinelli, associate dean, spearheaded the certification process, which included a letter of intent, an application that detailed how the College meets the certification standards and a site review. PRSSA is the student arm of PRSA; WVU’s chapter holds one of the original 1968 charters and has received numerous national recognitions. The thriving chapter, which will host a PRSSA regional conference March 28-31, is just one of the factors that allowed the College of Media to meet certification standards which include curriculum, faculty, resources, equipment and facilities, students, assessment, professional affiliations, relationships with total unit and university and diversity and global perspectives. Reviewers Hilary K. Fussell Sisco, chair of the Department of Strategic Communications at Quinnipiac University in Hamden, Connecticut, and Geri A. Evans, president of Evans PR Group in Longwood, Florida, spent three days in Morgantown last fall, observing several PR classes and holding individual meetings with faculty and Dean Maryanne Reed. Sisco and Evans also spoke with advising and career staff, toured facilities, interviewed students, alumni and internship employers and conducted a Q&A session during a PRSSA meeting. Martin Hall, home of the WVU Reed College of Media.